To assure, that people all over the world get access to safe and affordable food, the Abu Dhabi Declaration is a milestone to bring industry, governments and NGO`s together. METRO GROUP is one of the most important international retailing companies: Some 250,000 employees from 180 nations are working at around 2,200 outlets in 31 countries in Europe and Asia. The portfolio of our strong sales brands offers a wide range of services for private and commercial customers. 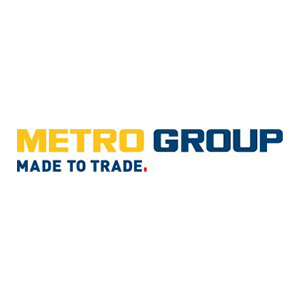 All sales brands of METRO GROUP take leading market positions in their respective segment and demonstrate their competence in trade and retail on a daily basis. Responsibility towards our customers, stockholders and the public characterizes our corporate thinking and action. Innovative strength is one of our key success factors. As a foresighted and high-performance group of companies, we also want to contribute to the further development and modernization of the retail sector – both, at the national and at the international level.